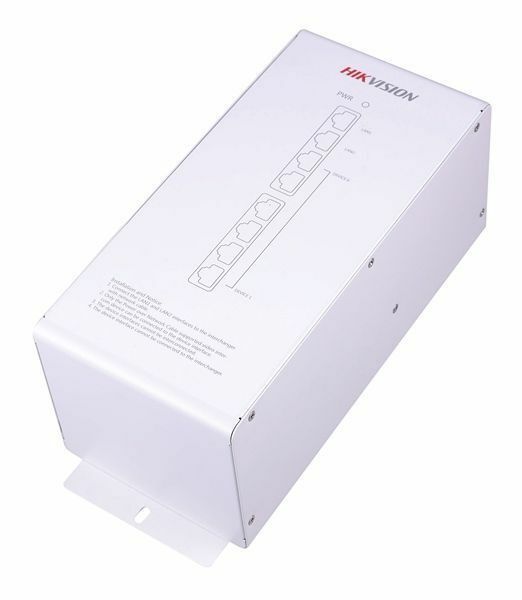 In this complete intercom kit from Hikvision you will find an outpost, internal unit and the necessary power supplies. The outdoor station of this set has type number DS-KV8102-IP . The DS-KV8102-IP outpost from the Hikvision Intercom offers you super sharp images of the outdoor situation. This combined with the pure audio connection ensures that you have clear image and sound from your visitor. The outdoor station is equipped with IR lighting. You can upload a snapshot of every visitor you give access to view later. By using the built-in card reader you can provide easy access to yourself and regular visitors. The interior station DS-KH6310-W is a beautifully designed indoor station for the Hikvision video intercom system. Via the bright touchscreen you can operate your intercom and view your IP cameras. If the in-house is part of an apartment complex, you can also make contact with other residents via the indoor station. The powerful audio settings filter out a possible echo and ensure a good connection with the external station. It is also possible to call the internal station to a PC where IVMS 4200 is on. DS-HIK-IP-INT-A - KIT intercom with IR illumination is toegevoegd aan uw winkelwagen!